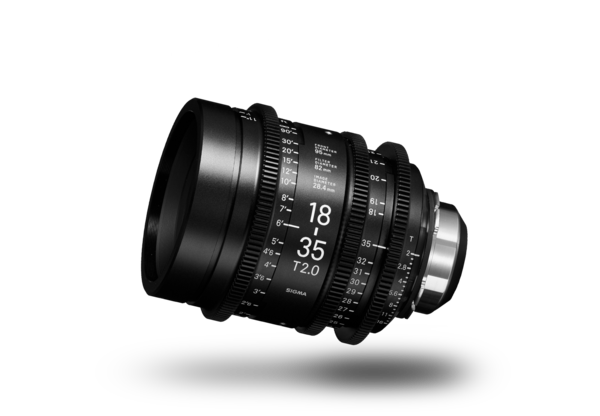 The Sigma Cine 18-35mm is a compact and all purpose wide angle zoom lens. This lightweight lens provides high resolution and clean images, with standard .8 geared focus, iris and zoom gears and a 95mm front diameter. The 18-35mm covers a Super 35mm frame, and it matches other Sigma Cine lenses.